What have you seen recently that made you do a double-take? 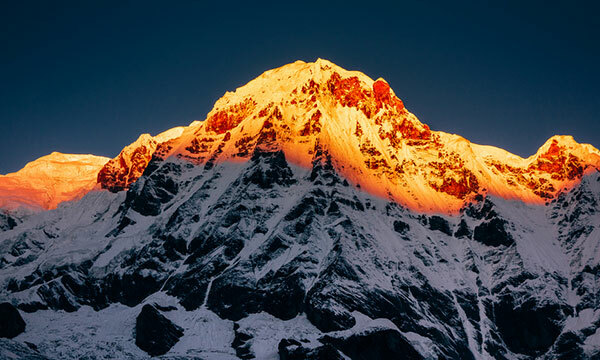 This photo of the Annapurna mountain range in Nepal, perhaps? Our featured photo today comes from Gadling Flickr Pool member Bo Li. 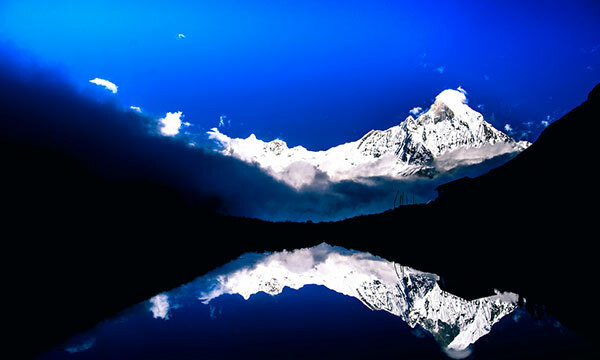 Entitled “Namaste,” the shot of a Nepal mountain is certainly evocative. Will your weekend be this peaceful? Applying for visas and dealing with travel-related bureaucracy can be a tedious, irritating process, but the good news is that U.S. passport holders have fairly unrestricted access when it comes to foreign travel. The Henley & Partners Visa Restriction Index ranked countries around the world based on how freely their citizens could travel with just a passport. The United States came in 2nd place, tying with Denmark, Germany and Luxembourg. American citizens can enter 172 countries without having to worry about red tape, according to the study.So what is the best passport to have? A British, Swedish or Finnish passport is as good as it gets, giving passport holders access to 173 foreign destinations visa-free. In general, being a member of an EU country helps a lot if you want to travel spontaneously, with nine out of 10 of the top countries all part of the European Union. Some countries however, are not so lucky, with citizens in Lebanon, Nepal and Pakistan finding themselves towards the bottom of the list. Iraqis, unsurprisingly, are expected to jump through a lot of hoops to travel abroad, and have access to just 31 countries visa-free. And the country with the most restrictions? Afghanistan, whose people have passport-only entry to 28 nations around the world. This year marks the 60th anniversary of the first summit of Mount Everest, a feat that’s been attempted by thousands of climbers since. Although we all understand ascending the world’s highest peak is one of the most grueling challenges on the planet, few people also know that summiting the mountain is only one risk climbers take; they also often fly in via one of the most nail-biting runways in the world. Associated Press reports that Tenzing-Hillary Airport is really just a small airstrip carved out of the side of the mountain. There’s just a single, narrow runway – and if the pilot misses it by just a few feet, the plane will hit a mountain. To further complicate things, the airport is surrounded by mountains, meaning once a pilot passes a certain point, there is no choice but to land. The airstrip was built in 1965 by Sir Edmund Hillary, one of the first two men to conquer Everest, and it is named for him and his climbing partner, Tenzing Norgay. Hillary created the airport to help Sherpas spur development in the area, and ever since many climbers choose to fly into the airport in order to avoid a daylong bus trip from the capital of Nepal, Kathmandu, and five days of trekking. Since its inception, the airport has claimed about 50 deaths – far fewer than Everest itself, which has seen about 240 deaths. But still, with a track record like that, the runway can definitely be considered high risk. For more on the world’s most dangerous runways, check out this slideshow. Raha Moharrak has become the first woman from Saudi Arabia to climb Mt. Everest when she made it to the summit yesterday after a grueling climb. The 25-year-old climber first had to convince her family to allow her to make the attempt, and then had to undergo rigorous training to climb the world’s tallest peak. She was part of a four-person team called Arabs on Top of the World. The team also includes Sheikh Mohammed Al Thani, the first Qatari, and Raed Zidan, the first Palestinian to make the attempt. Masoud Mohammad, an Iranian, is also on the expedition. The team is working on a rotation system with other expeditions, so the men are currently trying to make the ascent. The team isn’t only making history; they’re also making a difference. They’re trying to raise $1 million for educational projects in Nepal. A donate button can be found on their website. This is a cause near and dear to Moharrak’s heart. She’s currently a graduate student in Dubai.